Mission Beach is well know to most Australians as a hot spot for coastal property, its no wonder Oasis, Baracon’s 143 lot subdivision has been well received. With the last of the stock being released to the market at prices to clear, sales activity has lifted noticeably over the past month. Local agents are reporting increased interest and contracts are being exchanged” reports Brett Rogers. Real estate entrepreneurs complain Port Douglas is overdeveloped but Mission Beach, south of Cairns remains exclusive. 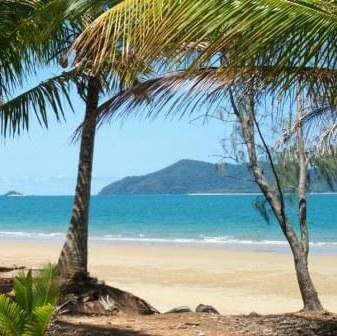 Located just twenty minutes drive south of Innisfail and one hour and twenty minutes south of Cairns, Mission Beach is set amongst natural rainforest and pristine beaches. “Oasis was designed to integrate with its natural surroundings and to have minimal impact on the surrounding tropical environment” Brett Rogers said. The phrase ‘where the rainforest meet the beach’ was surely coined at Mission Beach where over 14 kilometres of magnificent golden sandy beaches look out over the famous Dunk and Bedarrd Islands, and further to the south the largest national park in the world, Hinchinbrook Island. The land sub-division is designed to provide most land lots with abutting fingers of natural rainforest and road reserves of such width so as to provide a forest feel when navigating the estate. The quality of the estate is further enhanced with a community titles scheme providing to each purchaser the professional maintenance of roads, reserves and forested areas to the highest standards. This is a comforting thought for absent owners. Furthermore a series of boardwalks will connect this prestigious estate through the pristine rainforest providing direct access to the golden sands of Mission Beach. Dont hesitate to contact us for more information on +61 3 8420 8200.